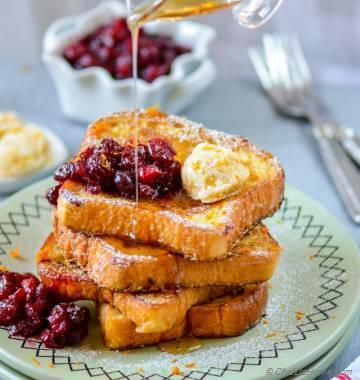 Let's get ready for your favorite autumn meals! 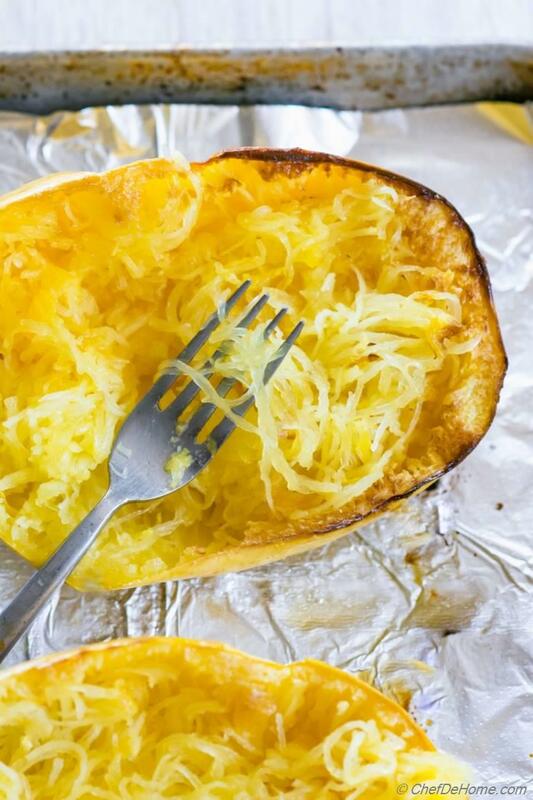 Today, let's start with perfectly cooked Spaghetti Squash. Sharing today my most trusted ways of cooking spaghetti squash - microwave, oven and an old-school favorite (pressure cooker). 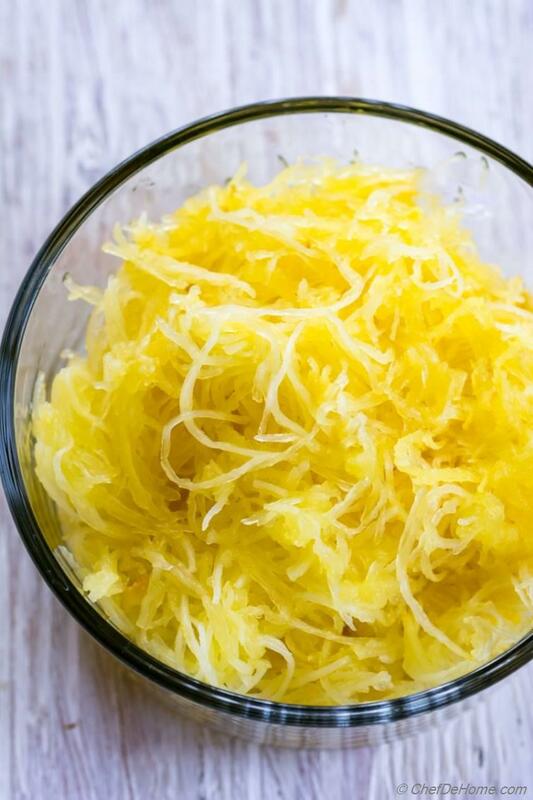 No matter which one will you choose to cook spaghetti squash.. this recipe will be your go-to reference to add low-carb spin to any of pasta/noodle dishes this fall. 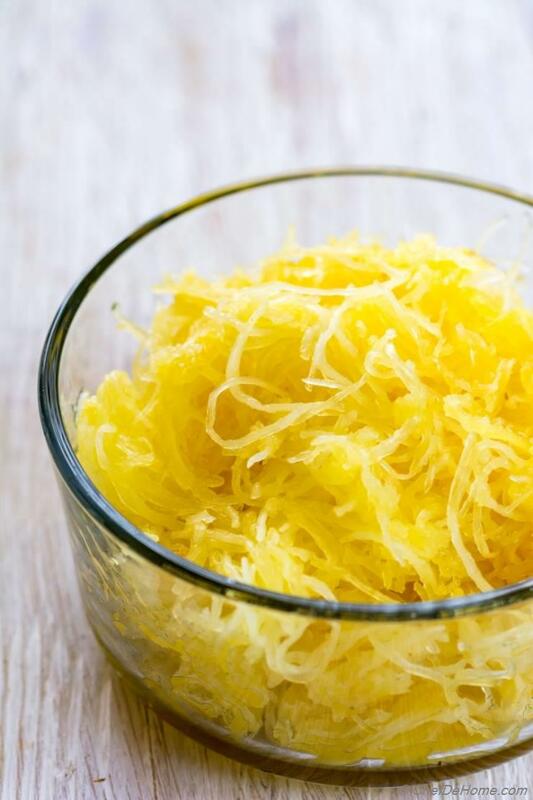 True to it's name, once cooked and shredded – fibers of spaghetti squash look like Spaghetti noodles... which are gluten free, far healthier and amazingly filling. 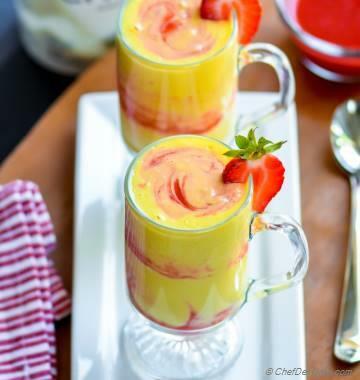 I'm so fascinated with texture of this squash that this DIY recipe was must to make to blog. Someone once said - we eat with our eyes. I believed in it even more when my not-so-veggie lover husband was impressed looking at bowl of cooked Spaghetti (squash) noodles. So, I thought just like myself there will be more newbies who are starting to introduce squash to their families this fall. And this recipe will be the foundation of all of their Fall Spaghetti Squash Adventures. As said, best way to learn something new is to start from beginning. So for my fall Spaghetti (squash) adventures I decided to first master cooking the squash. Over past few weekends I tried... and tried various ways to cook it. So far, my most favorite of all have been - oven and microwave. However, both have some goods and not-so-good qualities. So, I also used an old-school way which gave me best of both worlds. 1. Method 1 : Spaghetti Squash in Oven - This one is most common way of cooking tender squash which will shred perfectly to tiny gluten-free noodles. It does need an hour to cook. I like to pre-heat oven at 425 degrees Fahrenheit... then bake for 55-60 minutes or until Spaghetti squash is fork tender. It is important to keep an eye on squash in last 10-15 minutes to prevent over-cooking. A smaller squash cooks faster than large meaty squash. To save time, I roast two squash and refrigerate one portion to use for weekday menu. 2. Method 2 : Spaghetti Squash in Microwave a.k.a super-fast - This cooking method needs a microwave oven. A medium squash will cook under 15 minutes in microwave. Pretty quick, right? It is time well spent to serve Spaghetti Squash in dinner from scratch under 30 minutes. Just make sure to check it every 5 minutes so it does not burn. 3. Method 3 : Pressure Cooker - This cooking method is my humble method of cooking squash. Just add to pressure cooker pot with water and little bit of salt... and it will be ready in 5-8 minutes. No chance of burning/browning provided you have enough water in cooker pot. This is also good if you don't have oven/microwave or just because you don't want to use it. PS: Picture above show spaghetti squash cooked in oven. Just so you know, 1 cup of cooked Spaghetti squash has just 7 grams of carb. If low-carb is your diet preference, this vegetable is one of the best and easy choice. It is vegetable spaghetti so has no gluten. It is also naturally vegan and paleo. 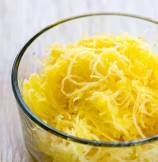 Do you use spaghetti squash often in cooking? 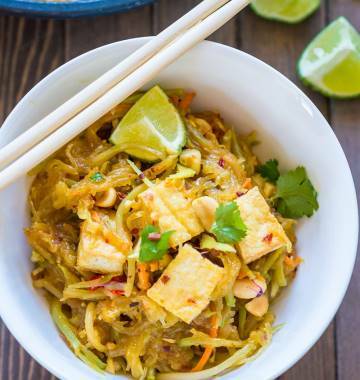 I would love to hear some ideas on what kind of dinner you cook with these low-carb noodles? Total Time 1 hr 5 mins Prep Time 5 minutes Cook Time 60 minutes Difficulty Easy Yields 3-4 Cup Noodles Serves 4 Notes Cooking time varies depending upon Cooking Method. Smart Swap Instead of drizzle, just brush oil to cut on oil use. 1. OVEN - Preheat oven at 425 degrees Fahrenheit. 2. Slice Spaghetti squash in half, remove seeds and fibrous core. Drizzle 1 tbsp oil and brush to coat whole Spaghetti squash (cut side). Sprinkle salt. Place on baking sheet cut-side down. 3. Bake for 55-60 minutes or until Spaghetti squash is fork tender. 4. MICROWAVE - Slice Spaghetti squash in half, remove seeds and fibrous core. Drizzle 1 tbsp oil and brush to coat whole Spaghetti squash (cut side). Sprinkle salt. Place in microwave safe container, cut side down. Cook for 10-12 minutes. Check every 5 minutes for done-ness. Squash is ready in about 10-12 minutes depending on size. 5. PRESSURE COOKER: Fill pot of cooker, season with salt, add squash. Place lid and bring to pressure (first whistle) on high heat. Then lower heat and cook for 5-7 minutes. Medium squash cooks in about 5-6 whistles. Once cooked, leave cooker aside to release pressure. Then open and follow the next step to shred. 6. Once cooked, leave to cool for 5 minutes then lift cut-side up. Shred with two forks loosening the Spaghetti noodles as you shred. Use, in-place of Spaghetti noodles, as per the recipe. Cooking time in microwave as well oven varies depending upon size of squash. I like to pick medium size squash from store which makes perfect 2 portions for dinner. Keep an eye on squash in last 10-15 minutes (oven) or 5 minutes (microwave) of cooking to avoid over cooking/browning. *Cooked squash will stay good in refrigerator, in air-tight container for up-to 3 days. When using cooked Spaghetti squash, try to minimize mixing too much which will soften the squash and noodles will not be very visible.